We are counted amongst the most notable consulting companies in The Netherlands that supports and trains employees enabling them to deliver the best possible result. Our well-framed training programs set us apart from other training companies in The Netherlands. Solon provides several training programs related to Time Management. From basic training to advanced training in the most modern methods and techniques all designed to enhance your performance and create a better balance between work and life. 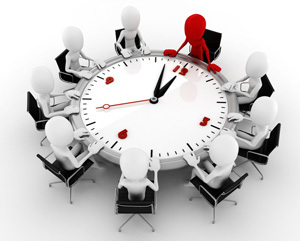 Our Time Management courses are practical and can be customized precisely for your organization. You will learn how to get a better grip of your time, your work and indeed of yourself. YOU already hold the key to success, but WE will help you find it! Our training on how to deal with complaints and aggression focuses on handling your own emotions as well as the verbal and non-verbal communication skills that are essential in handling aggressive situations. Learn how to control and deal with complaints and aggression in the correct way. Various tools will be used to hone your skills as a manager during this course. We will look into your leadership style, learn how to apply different styles and receive tools for effective and motivating leadership. We also cover subjects like finance, budget management and meeting discussion techniques. Learn to fit into different situations by adapting your own behaviour but keeping your own style. Self-awareness, interaction and collaboration are the key points here. Learn to gauge and monitor your positive and negative side, set personal goals, provide attentive listening and how to direct a conversation with clear goals. We can help you to improve the knowledge within your organization. For management teams, we provide guidance about vision meetings, brainstorming sessions and the development and implementation of management development programs (particularly aimed at developing general management skills). Training programs in the areas of leadership, communication, personal development and customized training are offered. You are always the representative of your organization. This is a pivotal role and the importance of it cannot be overstated. We will provide an insight on how to deal with customers and to whom to give priority: the visitor in person or the phone? Learn how to maintain an overview during peak hours, so that you will always represent your organization in a appropriate manner.